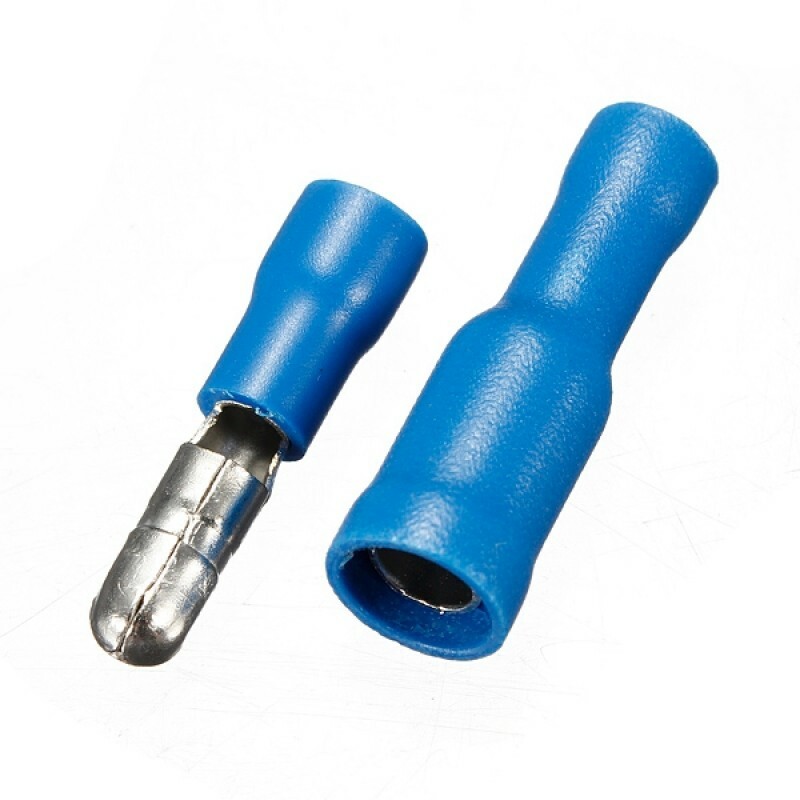 Bullet connectors are a simple, durable wire connector used in many wiring applications. 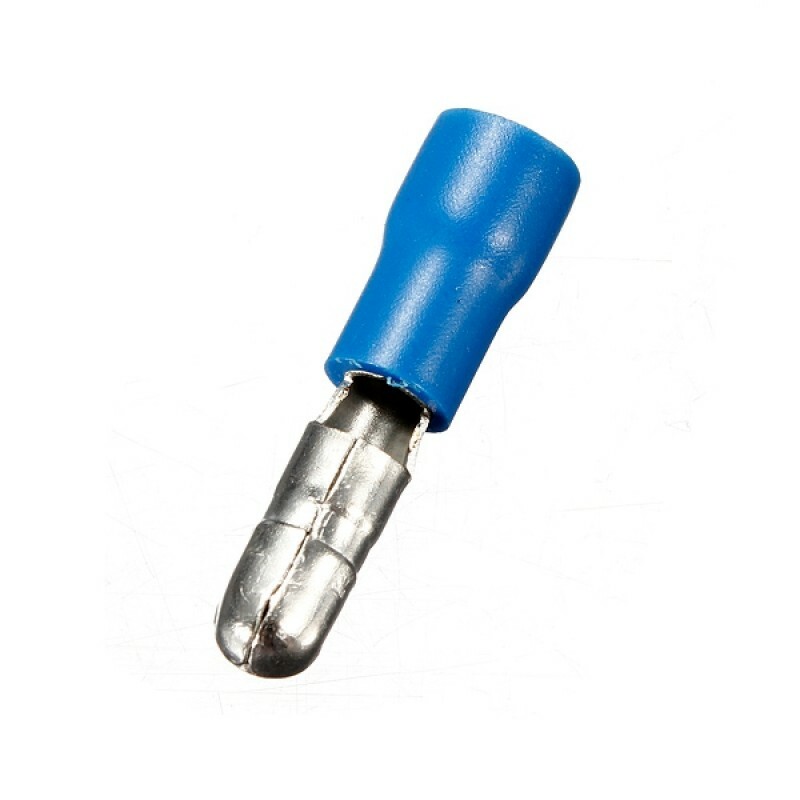 Designed to ensure safe and convenient electrical wiring connections, bullet connectors are available in two sizes for different wire sizes (gauges). Sold in packages of five pairs (male and female) they feature a vinyl insulated body which is crimped on to a wire. 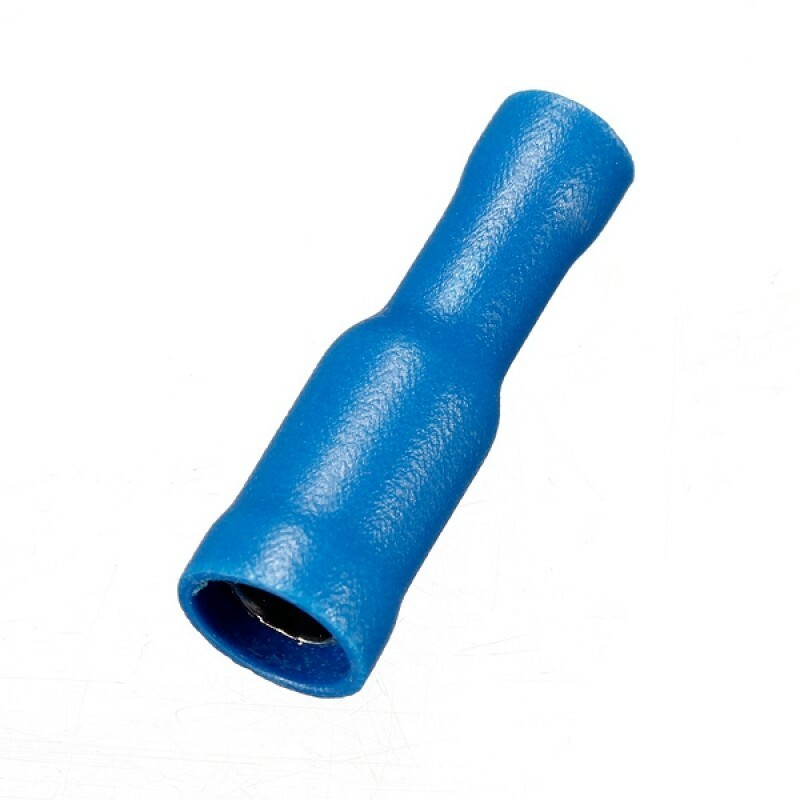 We offer two sizes of bullet connector; the Blue model is for 14-16 AWG wire, while the Red model is for 18-22 AWG wire.